We saw something the other day that might be the answer to the Tilley-Limbaugh flap at the capitol. Since then, a whole bunch of people showed up at the Capitol to present petitions with 35,000 signatures asking Speaker of the House Steven Tilley to scrap his plans to put a bust of radio talker Rush Limbaugh in the capitol’s Hall of Famous Missourians. Last week another group of protestors delivered several years’ supply of toilet tissue to Tilley’s office as part of the “Flush Rush” campaign, which is not a new idea. “Flush Rush” has been heard before. With so many people demanding and one person resisting and national headlines continuing to be made throughout the nation, perhaps someone needs to step forward and in good faith offer a possible compromise. My friends at the University of Missouri Press just recently released their Spring/Summer catalog. I suggest you go to the UMP website and check it out. There’s some good stuff coming out in the next few weeks. Check out page four. We first ran across “the original” many years ago when Secretary of State Judi Moriarity was impeached and removed from office and we were trying to lern when the last impeachment of a state official occurred. 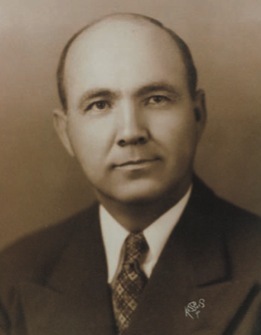 It was in the 1930s when treasurer Larry Brunk was impeached by the House and put on trial in the Senate. One of the attorneys in the case was Rush Limbaugh, who was still alive and still living in Cape Girardeau and still going to work every day. He lived to be 104. The book records that “The original” gained fame after the Brunk case when he presided over a case called Ware v. Muench, a bizarre case in which a baby boy born to unwed Pennsylvania servant girl Anna Ware was taken from her on behalf of a St. Louis woman, Nellie Meunch, who claimed she had given birth to the boy who was a “Gift of God.” Meunch had hoped to use the baby to extort a big chunk of money from a middle-aged, rich bachelor by claiming he had father the child that Mrs. Meunch claimed to have had. Limbaugh saw that the child was restored to Anna Ware. Later, Mrs. Meunch, her husband, and two others went to prison. We can’t wait to read Boman’s story about that case. He also notes that President Eisenhower named “the original” as a goodwill ambassador to India. He served on various civil rights commissions (including the Missouri Human Rights Commission) during the years of the Civil rights movement. A picture of “the original” that’s in the UMP catalog shows a resemblance to “talker” Rush, who as far as we know has not had anything to say about this Hall of Famous Missourians bust thing. At least not publicly. Rush would look uncharacteristically magnanimous. Tilley would be relieved. A Rush Limbaugh would be honored. The Toilet Paper Gangs would be mollified. And we’d have a bust of Rush Limbaugh. Now, there’s one more part of this proposal. If Talker Rush is willing to show some class about this situation, is it too much to ask the TP people to do the same when Talker Rush is invited to speak at the unveiling of the bust of “the original?” Talker Rush knows the TP people don’t like him. Nothing more would be proven if the unveiling of “the original’s” bust were marred by some people who don’t even want someone to talk about his grandfather. Well… it’s an idea. Probably won’t go anywhere. Too many people wouldn’t want it to go anywhere. No matter what happens, I’m going to buy Dennis Boman’s book.